Vegas is one of the most exciting cities of America and with the increased focus of people on gambling, many resorts and casinos have moved their business there. Not to mention the ample fun activities one can do in Vegas, but you should keep in mind your budget as you do not want to go short of money during your tour. In a place like Vegas, it is hard to control your spending but necessary measures should be taken to have an ultimate experience. You must plan your trip to Vegas carefully, if you have budget constraints. You should carefully analyse your monthly spending and earnings and your savings to decide your budget. Of course you would not be taking all your savings to Vegas but you must decide how much you want to spend on vacations. Remember that it is very important that you carefully decide your budget to know how deep your pockets are. When you have budget constraints, it is strongly advised that you plan your trip in the mid of week because the rates of hotels and other things are extremely high on the weekend. 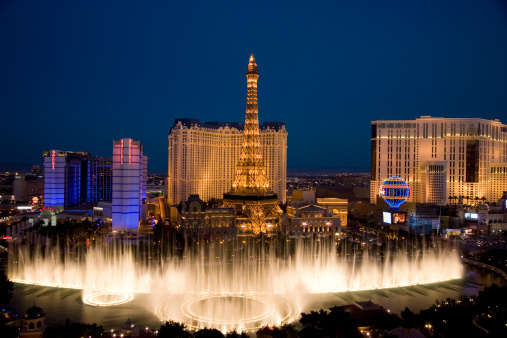 Therefore, if you really want to limit your expenses and have maximum fun, you should visit Vegas during the week. You must plan your trip with a couple of your friends as this will divide and reduce the total expenses. If you compare staying in a room alone with sharing it your friend, you can reduce these costs by exactly half amount. Therefore, you must plan your trip with your closed ones so that you could also enjoy good company. Now you should review package plans of various hotels in Vegas and decide what is best for you. These plans are considerably cheaper within the week and you have a greater chance of finding ultimate services at a really low cost. If you want to drink alcohol, you should avoid buying it from your hotel. It is strongly suggested that you should go to the nearest store and purchase it from there. Similarly, you should try not to eat from the restaurant and prefer having food from outside. It is important that you should plan the trip properly and try to avail as much deals as possible.